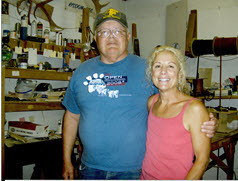 Dee Dee Jonrowe with Clyde in his workshop. 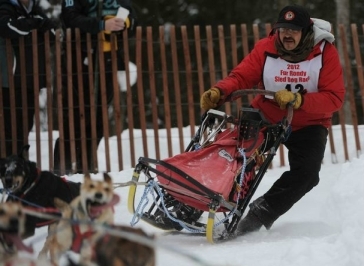 As you explore our site you will find our most recent line of sled dog equipment. You may notice some changes from past models as we have seen the opportunity to improve our products. We have a continuing program of experimenting and testing. In our efforts to market the best equipment for you, we receive input from several drivers. If you don't see what you want, give us a call. Sleds: All sleds are made of select grade white ash... we heat the shop with the material that doesn't meet our standards. All sleds except the Shadow recreational and toboggan now come standard with graphite reinforced runners. Aluminum brackets hold the stantions to the runners. This makes the runners tilt when you flex the sled for better control on corners. All bent wood except basket boards and toboggan runners are laminated. 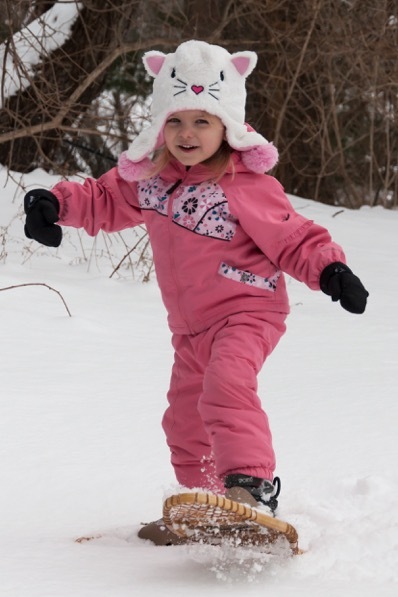 Sleds come with QCR, bridal, and wide brake. The only option is lashing the basket, and handle height.